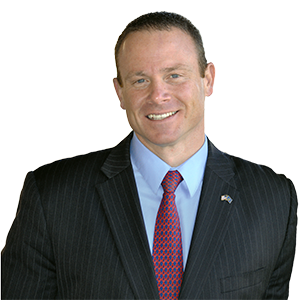 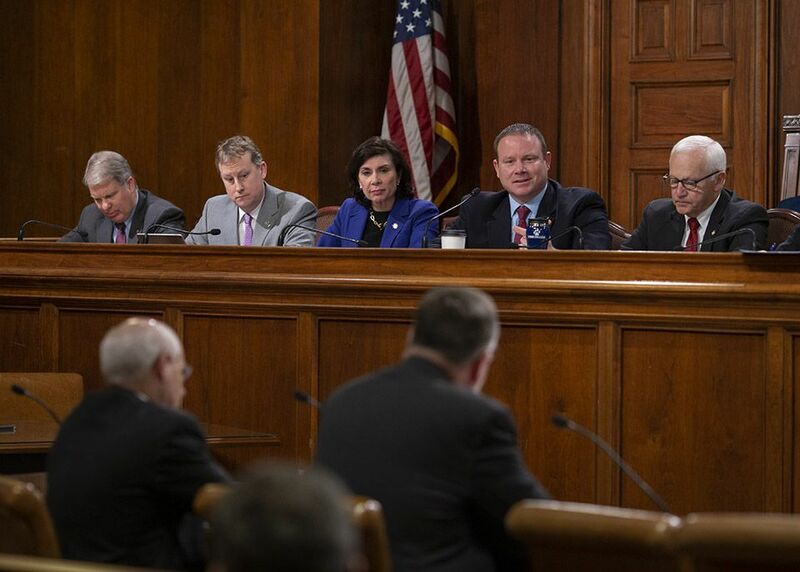 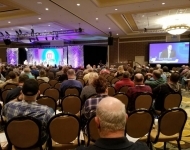 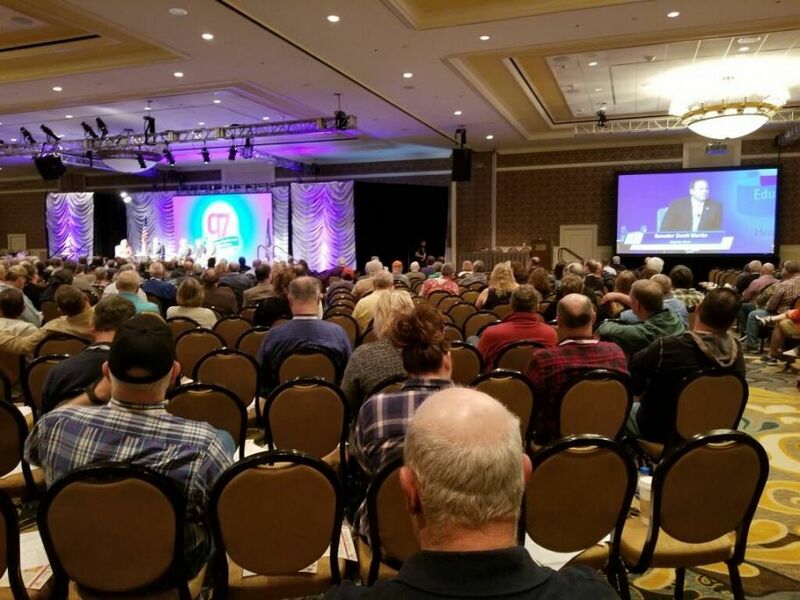 April 17, 2019 - Senator Martin participates in the Pennsylvania State Association of Township Supervisors’ (PSATS) Local Government Forum as Chairman of the PA Senate Local Government Committee. 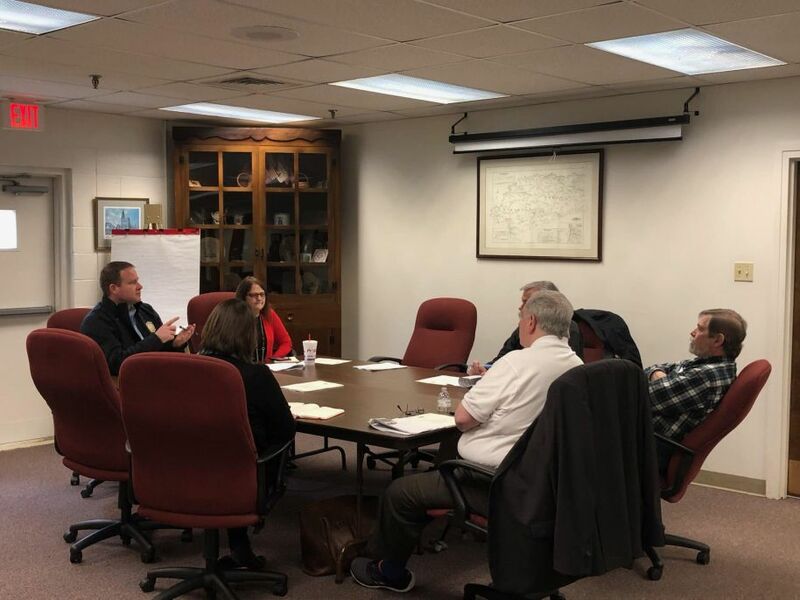 April 16, 2019 - Senator Martin discussed current legislation with members of his Borough’s Advisory Council. 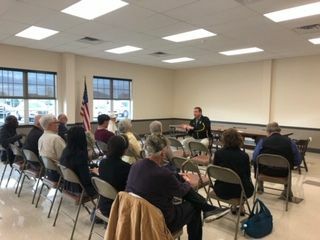 April 16, 2019 - Senator Martin talks with residents of the Solanco School District Area during his Coffee and Conversation event held at East Drumore Municipal Building. 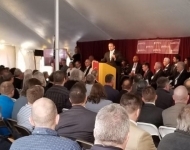 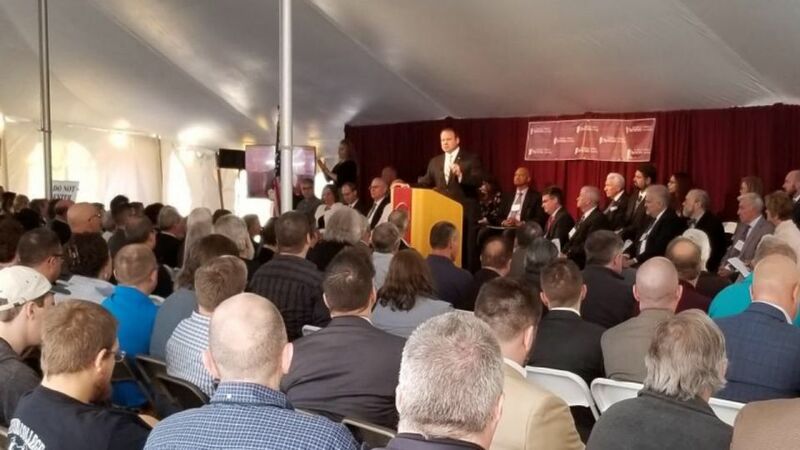 April 10, 2019 - Senator Martin joined Thaddeus Stevens College of Technology's President, Dr. Griscome, faculty, staff, community supporters and fellow elected officials to celebrate the opening of their new Greiner Advanced Manufacturing Center. 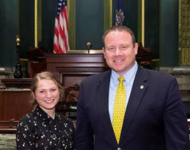 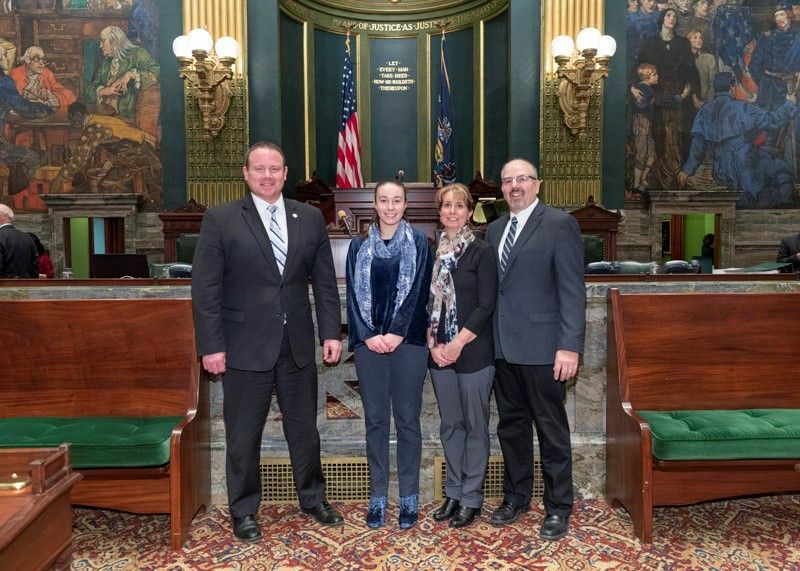 April 9, 2019 - Senator Martin met with McCaskey High School sophomore Sophie Fischer while she visited the Capitol to learn about the House and Senate as she looks to set her career goals. 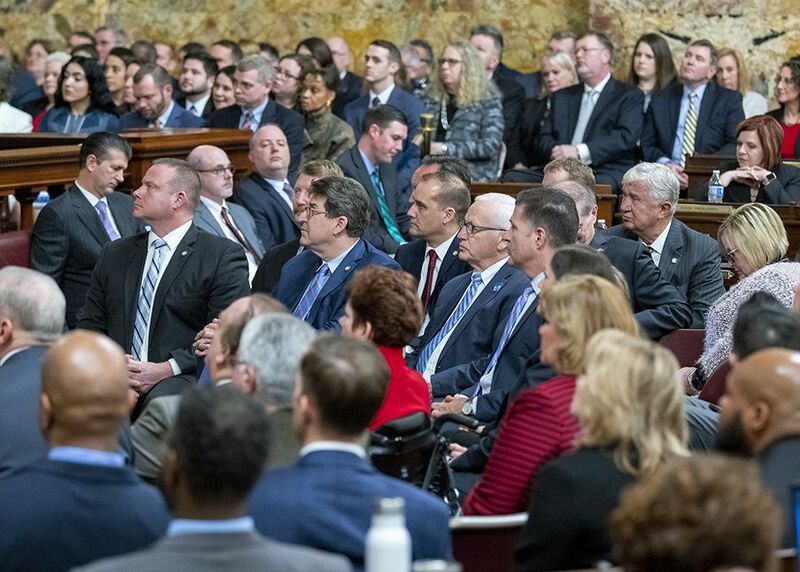 April 8, 2019 - Senator Martin was recognized by the Associated Builders & Contractors, Keystone Chapter as a champion of the merit shop for supporting legislation that advances free enterprise and open competition in Pennsylvania's construction industry. April 4, 2019 - Senator Martin tours Conestoga Valley High School and meets with students and faculty to learn about their programs. 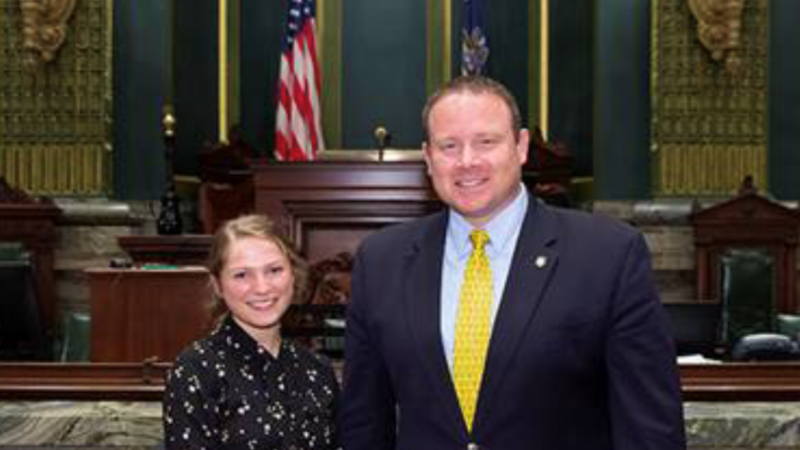 April 4, 2019 - Senator Martin honors Conestoga Valley senior Jane Livingston on capturing first place in the Girls' 60-Meter Hurdle event at the 2019 PA Track and Field Coaches Association Indoor State Championships. 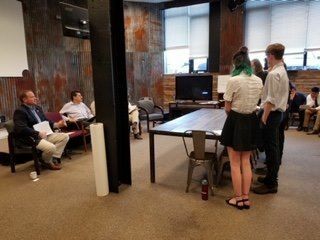 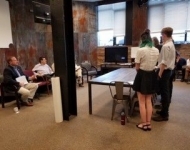 April 3, 2019 - Senator Martin hears presentations on immigration from students at the Stone Independent School. 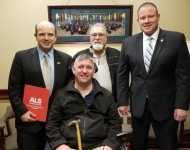 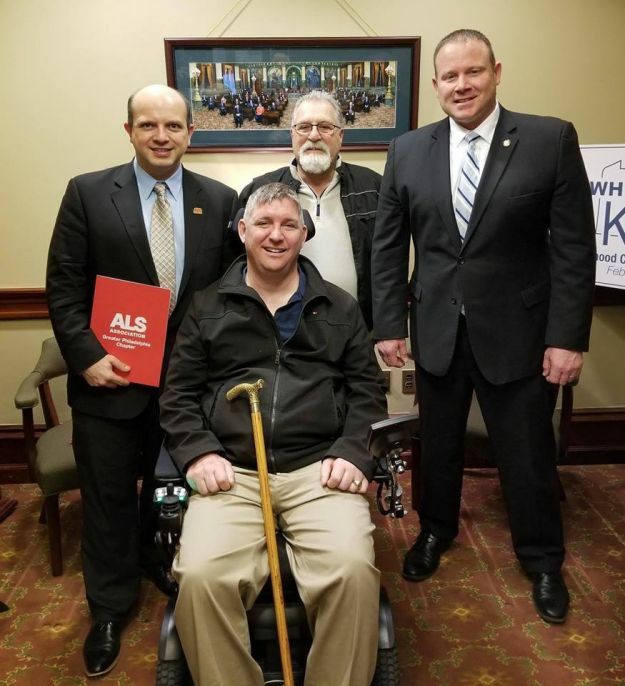 March 19, 2019 - Senator Martin meets with advocates for the ALS community. 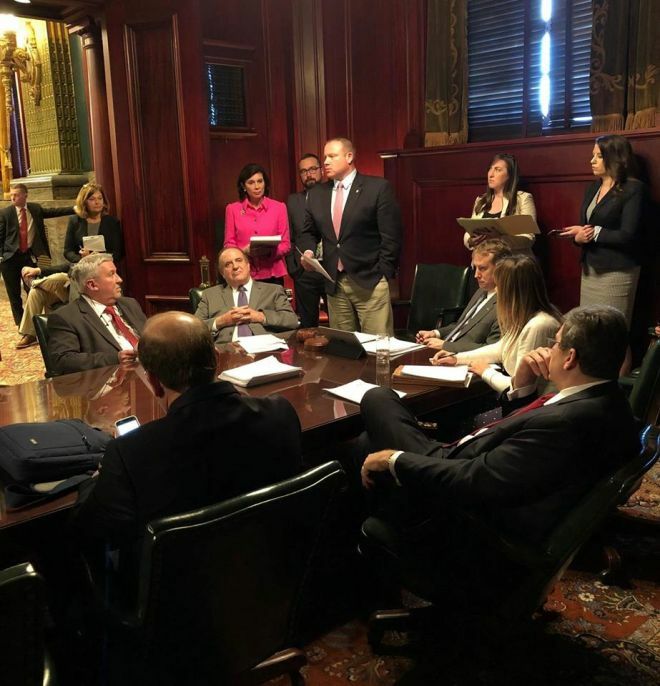 March 19, 2019 - Senator Martin speaks with the Senate Education Committee about SB 144, which proposes telepresence education for students during extended absences. 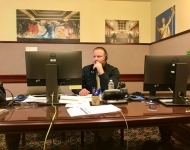 March 18, 2019 - Senator Martin gears up to talk with his constituents during his tele-town hall meeting. 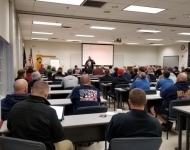 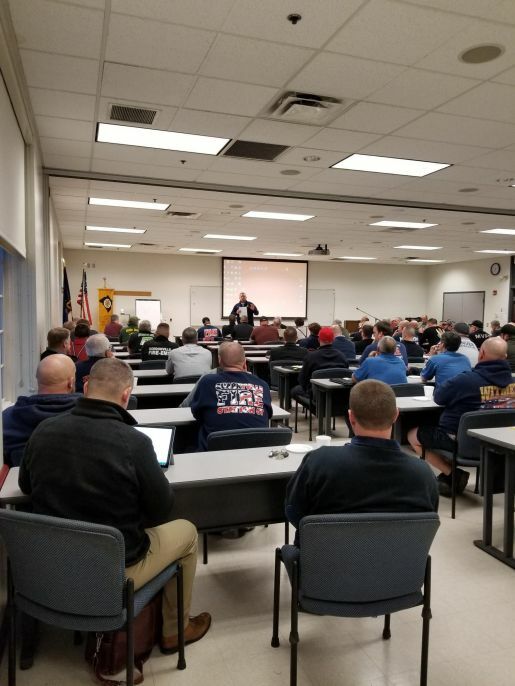 March 13, 2019 - Senator Martin provides a legislative update to members of the Lancaster County Fire Chief’s Association at their quarterly meeting. 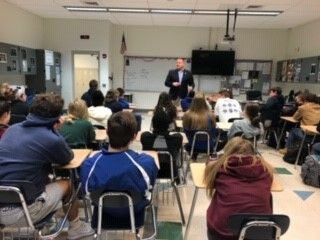 March 11, 2019 - Senator Martin speaks with students at Lampeter-Strasburg High School about his role as a State Senator. 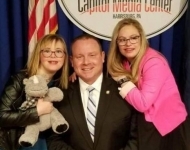 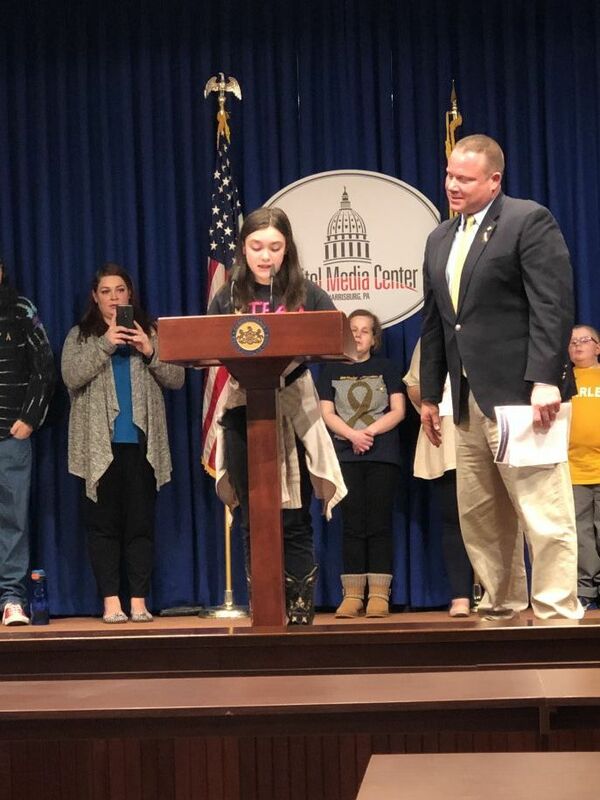 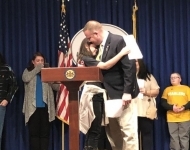 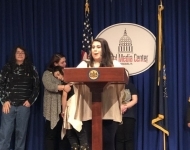 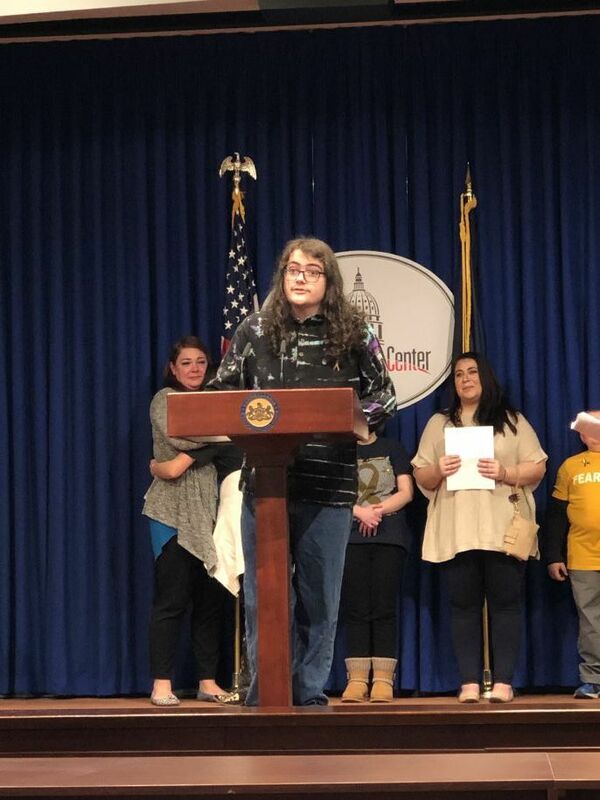 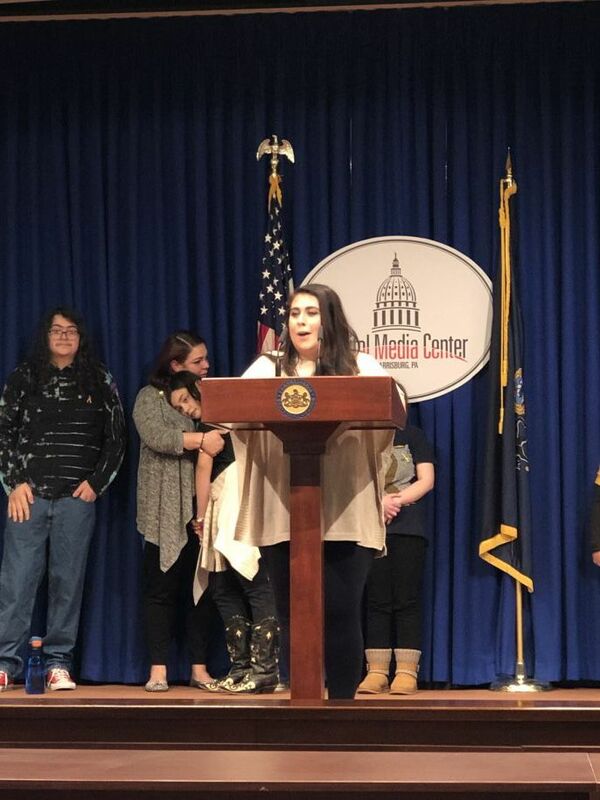 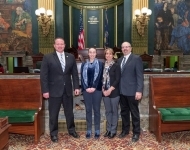 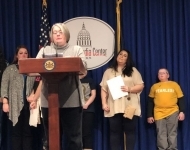 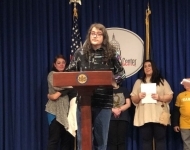 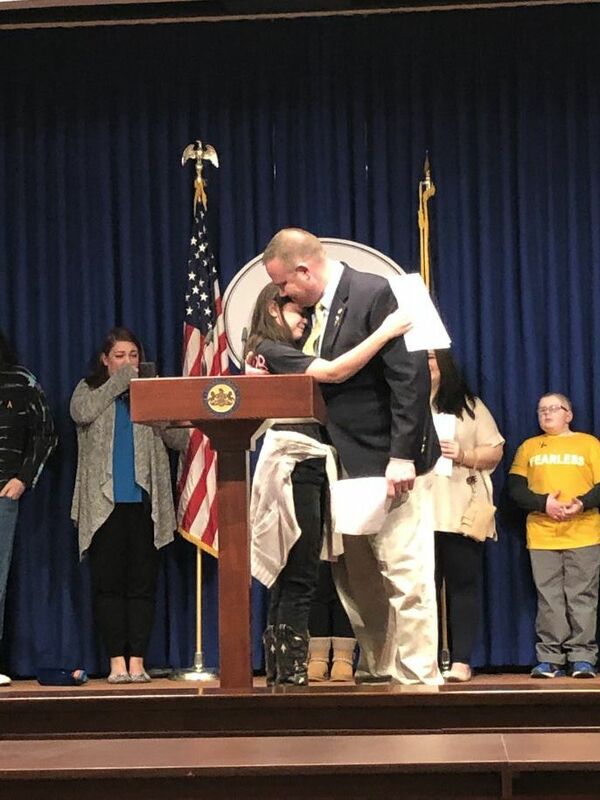 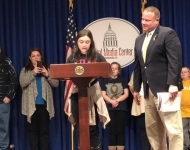 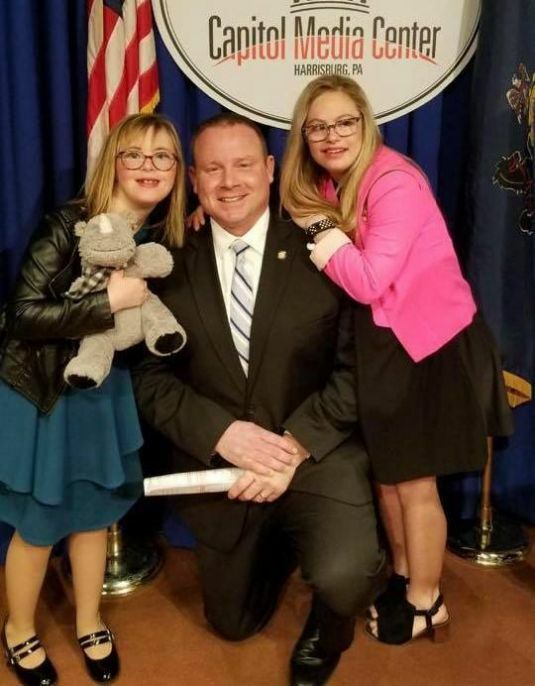 March 10, 2019 - Senator Martin celebrates the passage of Senate Resolution 44, recognizing March 21, 2019 as World Down Syndrome Day in PA, with Chloe Kondrich and Mikayla Holmgren. 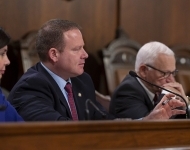 February 25, 2019 – Senator Martin questions the Secretary of Labor & Industry about discriminatory apprenticeship ratio practices and how to better connect unemployed welfare recipients with jobs. 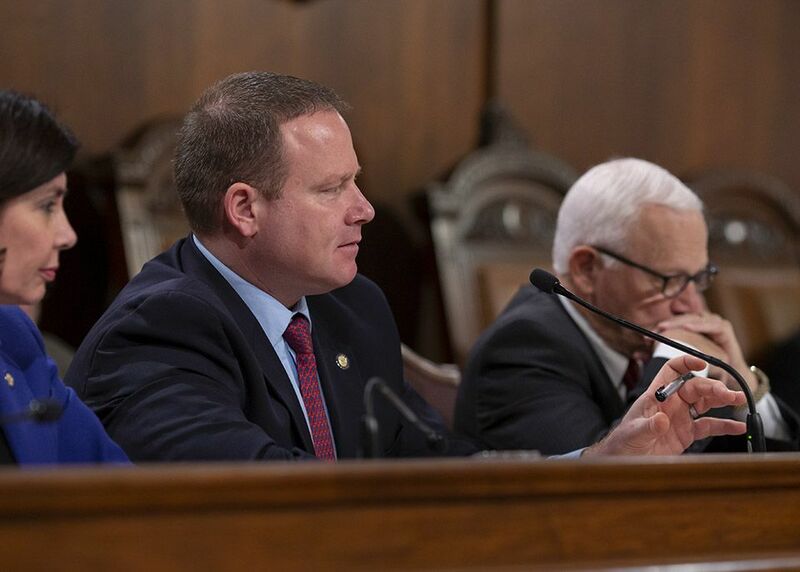 February 21, 2019 - Senator Martin questions the PASSHE Chancellor about staff and operations issues as well as how to better incentivize PA students to enroll in the state system during the budget hearing. 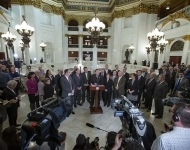 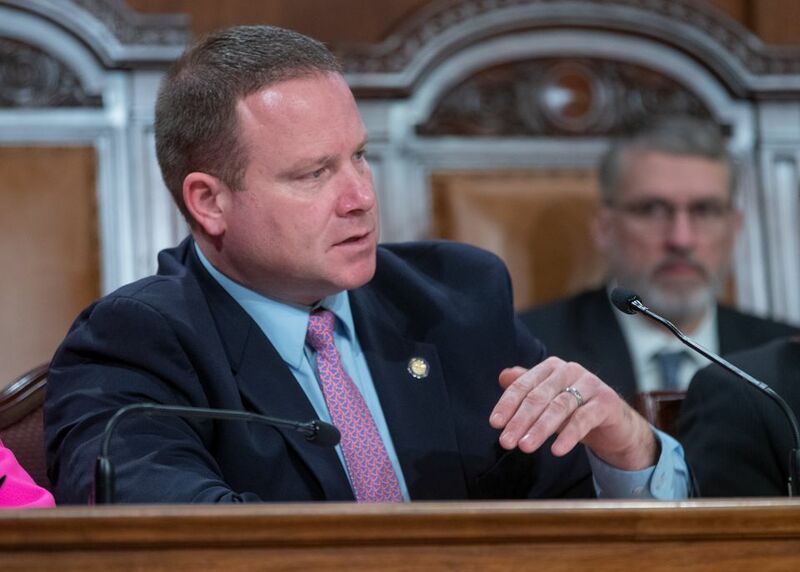 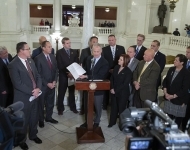 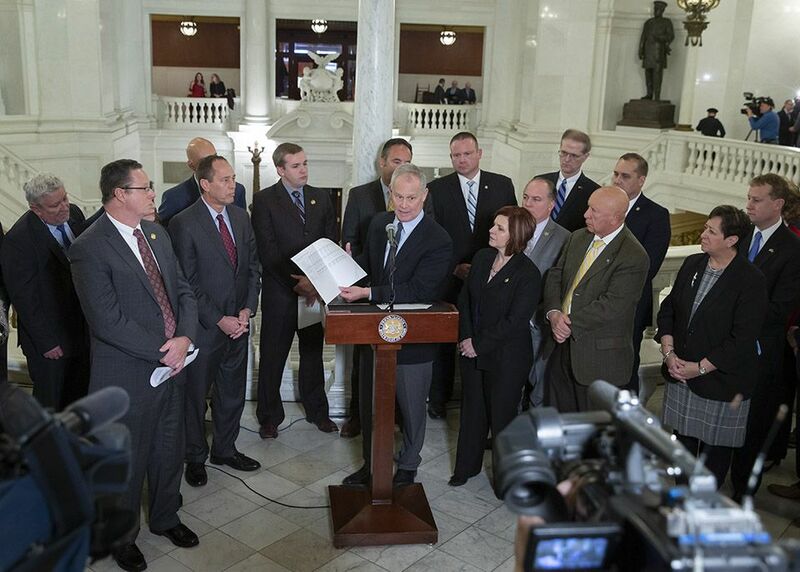 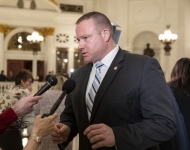 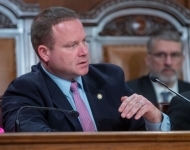 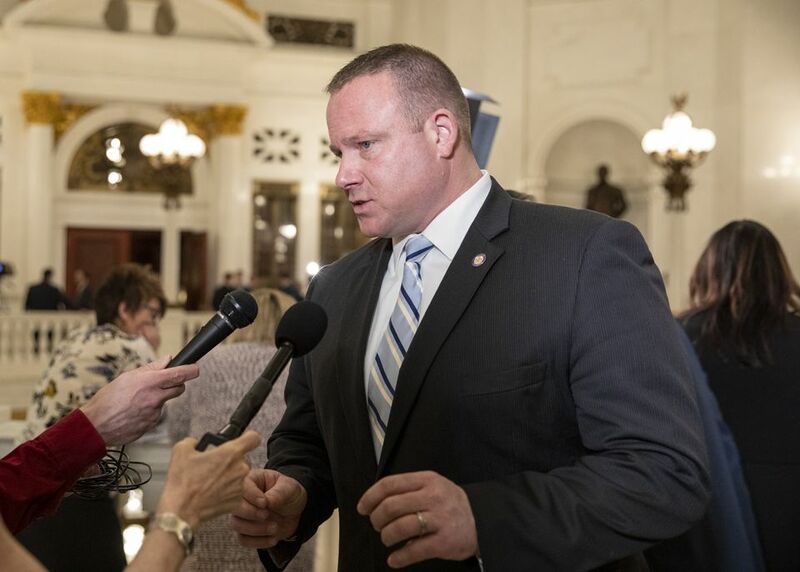 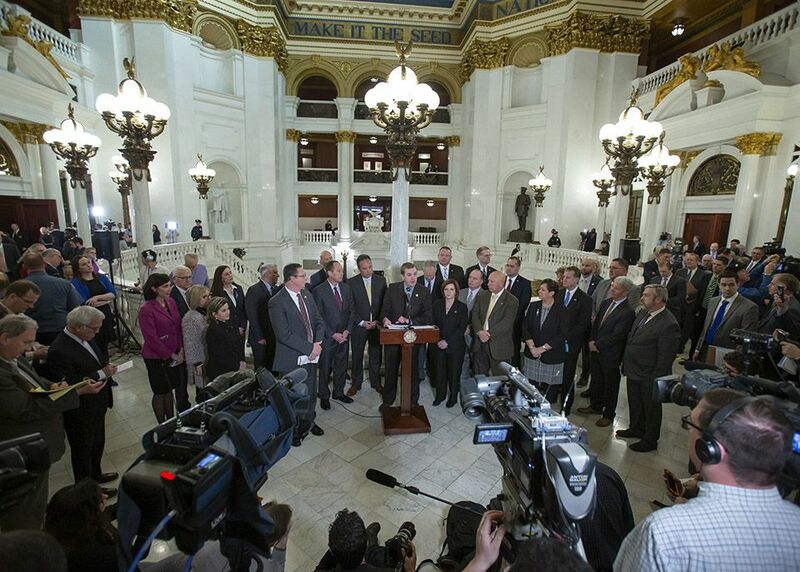 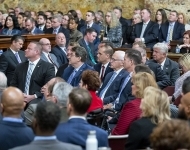 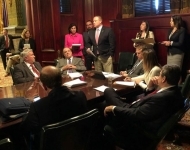 February 5, 2019 – Senator Martin joins Republican leadership to discuss Governor Wolf’s budget proposal. 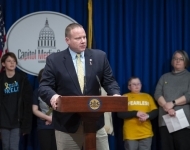 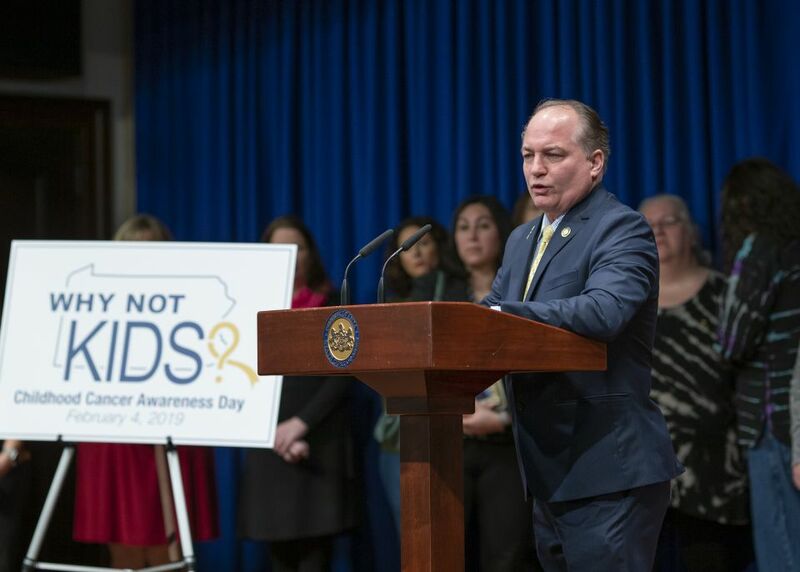 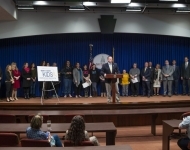 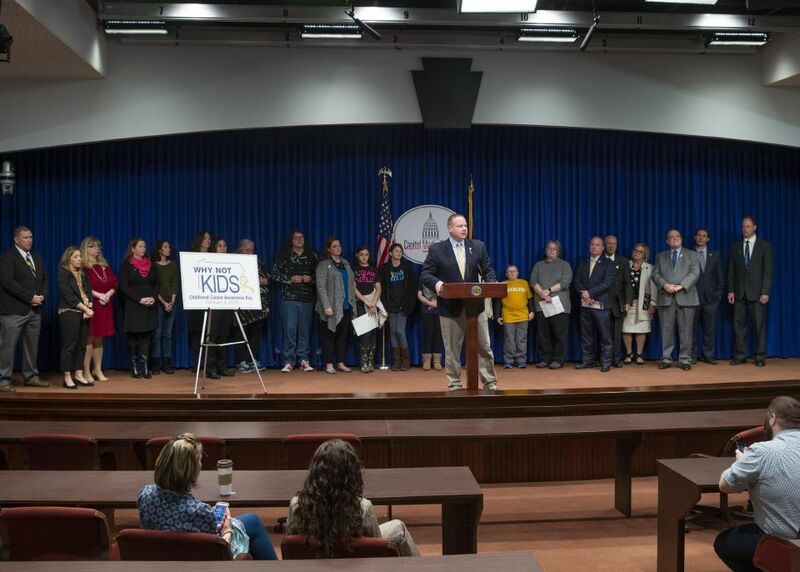 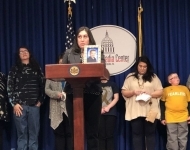 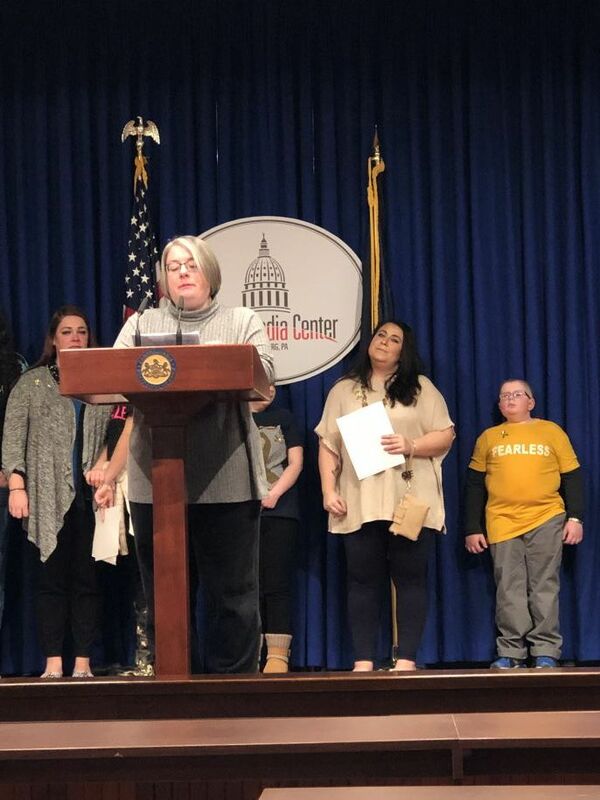 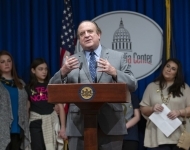 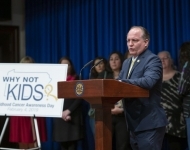 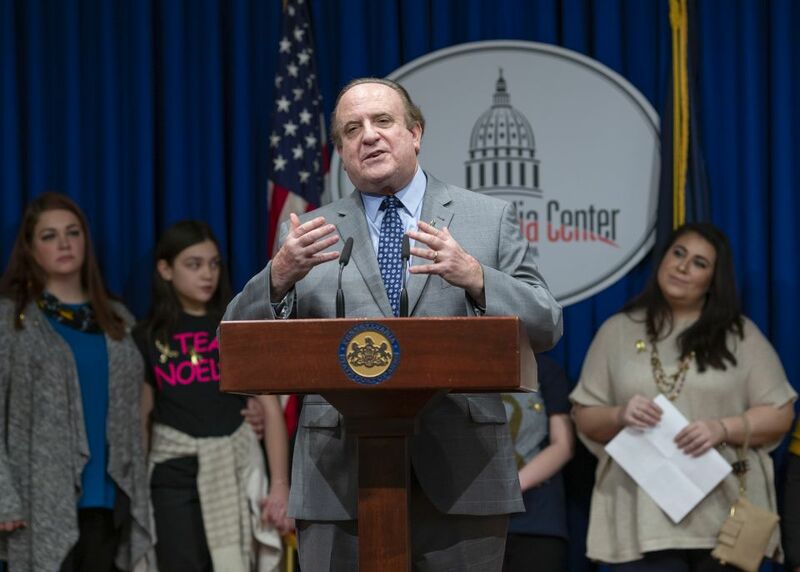 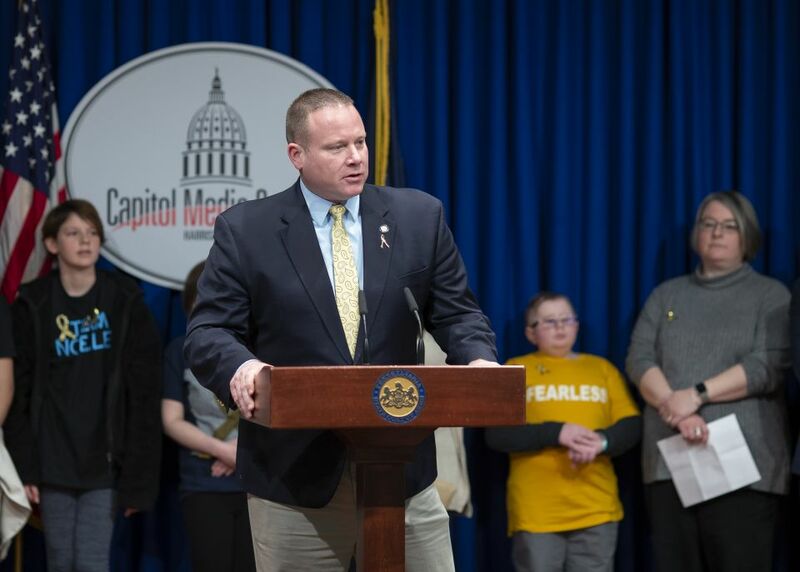 February 4, 2019 – Senator Martin hosts a joint press conference with to introduce bipartisan legislation to address pediatric cancer. 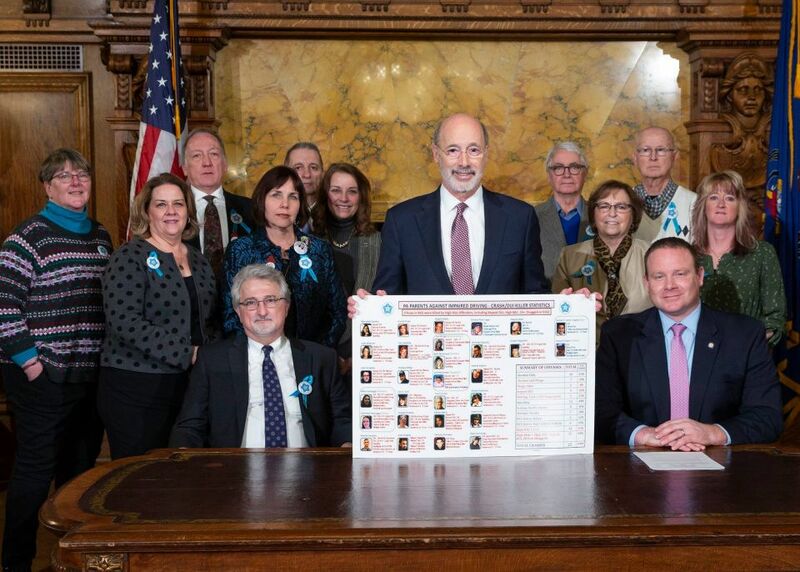 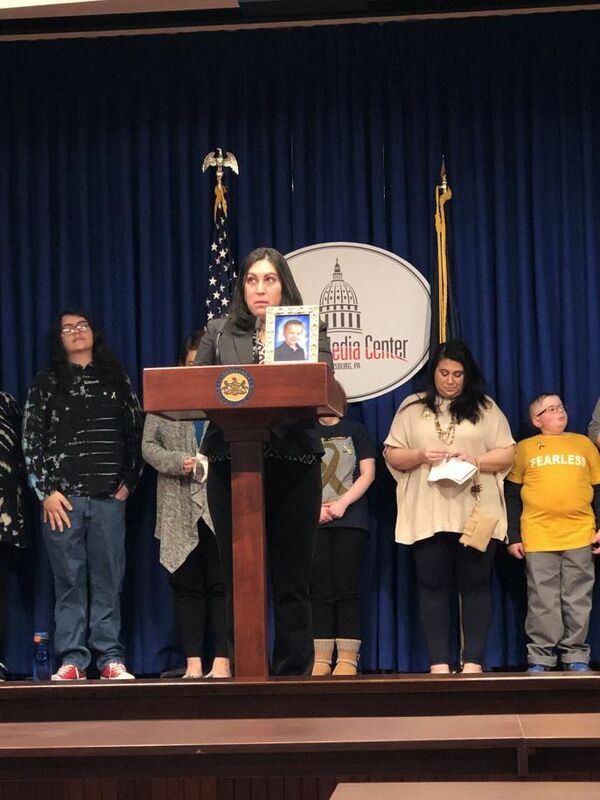 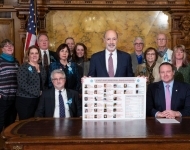 January 30, 2019 - Senator Martin joins members of PA PAID for the bill signing ceremony of SB 961 to strengthen PA’s DUI laws. 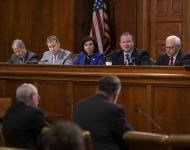 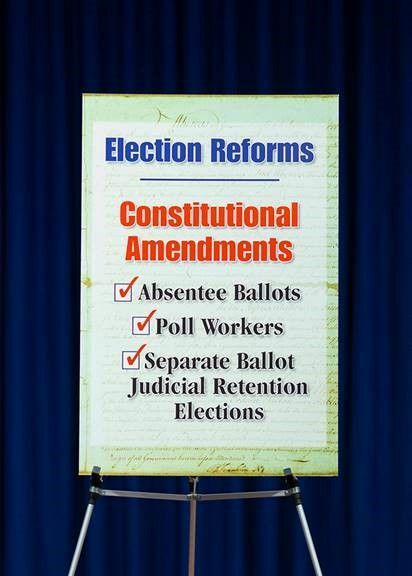 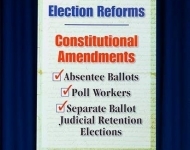 January 29, 2019 - Senator Martin joined Senator Mike Folmer, Senator Pat Stefano, Senator Tom Killion and Senator Judy Schwank to introduce a package of bipartisan reforms to Pennsylvania’s Election Code. 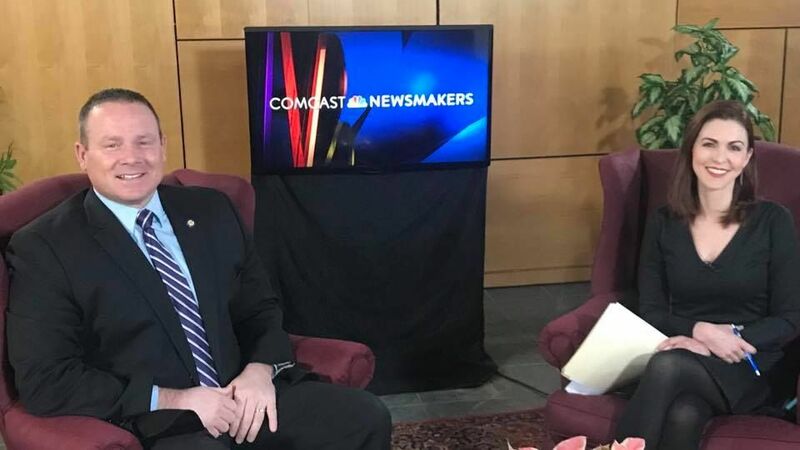 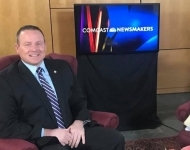 January 19, 2019 - Senator Martin speaks with Jill Horner from Comcast Newsmakers about legislative accomplishments and initiatives for the new legislative cycle.